Outdoor Learning Comes to ICS! 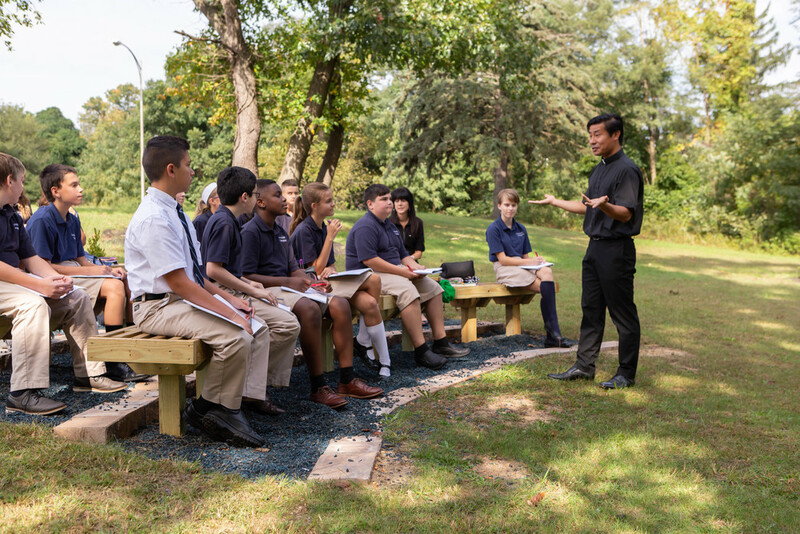 Looking beyond the traditional classroom, ICS is proud to introduce an outdoor classroom structure. Conveniently located on the property, the students and faculty will be able to use this new space as a tool to engage students through outdoor learning activities. Why is outdoor learning important? Studies have shown that pupils tend to have increased concentration and are more motivated, inspired and willing to learn when they are outdoors. Spencer Mochari, an alumnus of Immaculate Conception has worked very hard on his service project for Eagle Scout. Collaborating with Monsignor Joe and Troop 35 leadership he selected the project that would benefit his former school. We are extremely grateful for his hard work and dedication to the project. The ICS students and faculty are excited to use this unique space!